Hey everyone, I made an account a while back but forgot about it until now. I am a full time student with 40 some odd hours of flight time in my logbook and aircraft manuals crowding my bookcase. I have worked and flown with a world class aerobatics pilot. I have done a few grass strip landings, seen F-18s at the same altitude, and I have flown and landed the space shuttle simulator (proof is on my youtube channel ). If anyone ever has a question about getting started in aviation i can help. 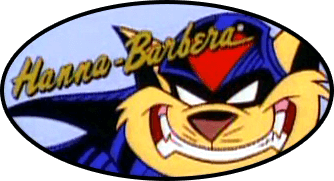 So I first saw SWAT Kats while laying in bed watching boomerang coincidentally a few days after seeing top gun for the first time. Any show with a jet that looked like an F-14 had to be a good one. Unfortunately i never saw much of it again until I saw videos of SWAT Kats start popping up on Youtube. My grandfather was a fighter pilot and i wanted to be one but the air force medical examiners would kick me out in a heart beat (Navy too), that's why the show is special to me. I did also get a chance to meet telivision's lance falk at a college trip to california (disneyland) and chat over the show and other things. So the show just makes me feel like a kid again. Howdy, and welcome to our little community. Always glad to have more people. Well i got into flying thanks to my grandpa. 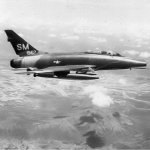 My avatar is a photo of his Super Sabre. He has been friends with my former boss who's flight school i trained at. He ended up paying for my flight lessons but I've had to stop for now because of school. If there's one thing I've learned, getting the plane in the air is easy, it's bringing it back down smoothly that's the hard part. Hello, and thanks for spending part of your time online here!